← 110. Who Will You Put in the Spotlight? Not being able to smell anything is such a shame. It takes away your joy of life. The food you used to find so tasty has no effect on you anymore. Everything tastes the same. You miss the odors from the sidewalk after rain, newly mowed grass, flowers, and smells of baking. Sometimes it has its advantages. It’s a blessing when changing diapers and when cigarettes don’t taste good any more. Smell protects you from illness and danger. It ensures that you realize in time that your food has rotted. Or that you realize that your bowel movement smells stronger than otherwise. You realize the gas is on when it is not lit. Or when there is the smell of fire. People who can’t smell anything know exactly what I mean. Your ability to smell is of great importance to your health. Losing your ability to smell partially or completely is called “anosmia”. It is a signal that something is not as it should be. But what is that? I will name a few causes. Who knows, maybe one of them is true for you. And have a look on the internet. It is very likely that your country also has a foundation for Anosmia! Or maybe you will want to start one! We always have to wait and see what the MIR-Method does in cooperation with your body. However, we do get reports from time to time that someone’s sense of smell has returned. How is that possible? It’s possible when the causes of the anosmia lie in old emotions, such as a trauma or in a disturbance of the lung meridian. The MIR-Method works layer for layer on old emotions that are still bothering you. Think about old grief, frustrations or fears. These emotions can cause disturbances in the meridians, but also in your cells, through which your body begins to function less efficiently. One result can be a diminished sense of smell. You detach all of your bad memories and feelings that relate to your father or mother, or other men or women, by doing MIR-Method step 3: ‘Detach father. Detach mother’. The memories are still there but they don’t bother you anymore. That removes the old pain out of your system and frees the path to healing. With step 4: ‘Clear meridians’, you deal with, among others, the lung meridian. This is one of the meridians that are responsible for the ability to smell. It plays an important role in colds and flu and it helps us to let go of old, stubborn grief. Think about the loss of a loved one, for example. When you stroke step 4, you slowly work on letting go of that grief and your lung meridian can flow freely again. steps work together to strengthen your immune system. When your immune system is strong, you can deal better with viruses and viral infections. 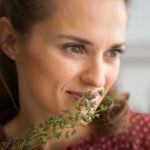 Have you noticed an improvement in your sense of smell through doing the MIR-Method? I’d love to hear about it! And to help others understand people with anosmia better: which smells would you not want to miss for all the gold in the world? I’d love to hear from you! Please write about it below! Thank you! My wish for you is that your sense of smell returns and remains with you always! Thank you for sharing! And how wonderful that your smell is improving! Must be great to smell some of the flowers again! 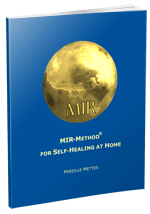 Thank you for embracing the MIR-Method! Well I have been doing the MIR-Method now for almost 3 months and for 2 months I had very dark urine especially in the morning. The MIR-Method worked incredibly well for 6 days, and then something happened, and some of it worked, some of it didn’t. I will possibly have to see a specialist. Now I know kinesiology works, so I now want to see a naturopath who does this too, as my doctor only works with drugs – and I am getting tired of getting ‘in trouble’ with him because I forget to take the drugs. (memory problem) My partial sense of smell has started working a bit – but I am not sure if it is the MIR-Method or the Zinc I have been taking. I will keep up the MIR-Method because it has at least detoxified me and proven itself to me too. Yes, awesome smell, rain on cement! I love it too! The zinc must work well, I know it can do much good with anosmia. The MIR-Method can help your body to draw more zinc into your cells. You can read more about it in article 27. Production resumes. Je suis très intéressée par votre méthode et je voudrais savoir si vous donnez des cours en Suisse ou si vous avez des praticiens en Suisse. Je vais pratiquer votre méthode d’après votre vidéo avant de vous commander le webinair. Votre adresse m’avait été donnée par des amis en Amérique. Merci pour tes mots si gentils! Nous avons des consultants qui parlent Allemand. Mais il faut peut-être mieux de participer dans le groupe dans Facebook: ‘MIR-Method Closed Group’. C’est un group international et il y a des gens là qui connaissent la Méthode MIR et peuvent répondre à tes questions en Français. Et il viennent encore des webinars en Anglais. J’espère tu peux parler Anglais? Thank you for giving the MIR-Method a second round for your Anosmia! Sometimes it just takes longer and many people in the Netherlands keep doing the MIR-Method for years. Keep seeing how your body can regenerate itself and how cells of the body can free themselves of old memories. It is all there, we just need to practice it. Good luck and yes please, keep me informed!